Phoenix Fire reported no injuries to passengers, airport officials stated. Phoenix’s Sky Harbor Airport officials say no one was injured when a United aircraft aborted takeoff just seconds before departure. 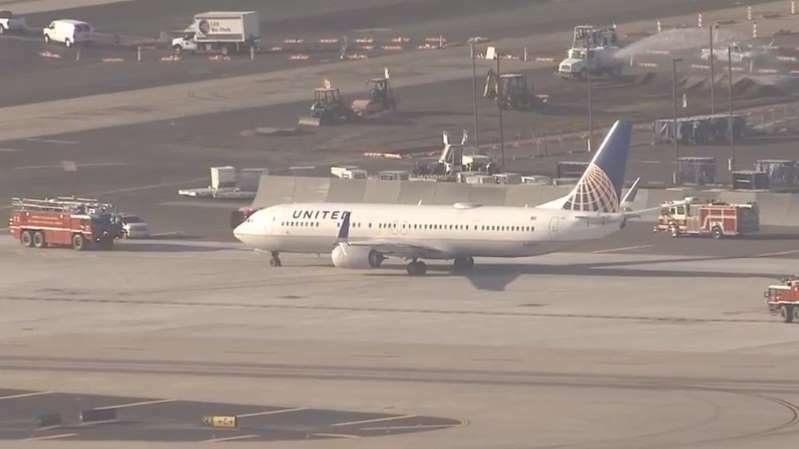 United Flight 1600, which was scheduled to fly from Phoenix to Newark, N.J., pulled off the runway on Friday morning after a possible issue with overheated brakes, airport officials confirmed to Fox 10. A passenger aboard the flight, who identifies himself as John Pentecost on Twitter, claims the plane was at “full power accelerating down the runway.” In a later tweet, he added that the pilot told passengers they were traveling at 130 miles per hour when a warning light presumably signaled the crew to abort. “I thought for sure we’d skid off the runway. Plane sitting lopsided now… must have blown a tire,” wrote Pentecost. A representative for United Airlines was not immediately available to comment. Traffic ‘nightmare’ for New York-bound motorists, but when?